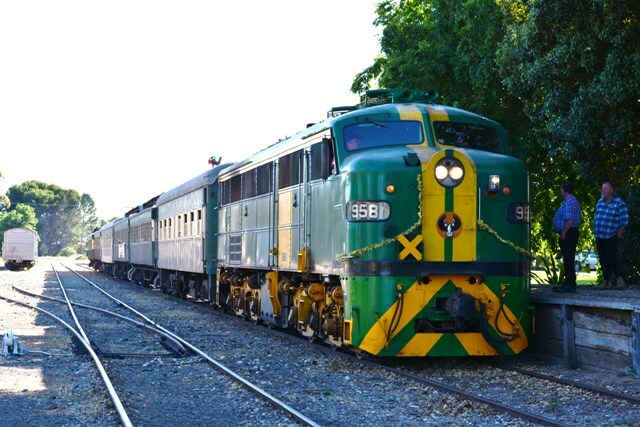 Step aboard the Summer Season South Coast Wine Train at the Steamranger Mount Barker railway station and travel via heritage train past the eucalyptus trees and through the rolling hills of the Mount Lofty Ranges to arrive at Strathalbyn. Travel via coach the short distance to the vineyards of Langhorne Creek and arrive at our first winery for the day. Be guided through a tasting of wines in an informal, relaxed approach with our wine host and cellar door staff. Enjoy a 2 course lunch at a local restaurant and take the opportunity to sample a glass of wine from the region. Travel through the Currency Creek wine region and arrive at the Port of Goolwa. Take the opportunity to enjoy some of the wines from 90 Mile Wines at the Wharf Barrel Shed or sit back on the deck overlooking the Murray River whilst sampling a beer or whisky at the local Steam Exchange Brewery and Fleurieu Distillery. On arrival at Mount Barker our coach will be waiting to shuttle you back to the city of Adelaide and to your hotel. Arrive in Adelaide at approximately 7.15 pm and back to your city hotel. Hotel pickup and drop off from selected Adelaide hotels with transfer to Mount Barker and return,all coach and rail travel from Mount Barker, train travel on the Steamranger Heritage Railway (2.5 hrs) in a railcar or diesel hauled train, wine tasting at 2 local wineries and a 2 course lunch, commentary from a local guide/ host. ​The Summer Season South Coast Wine Train guests will travel in a diesel railcar or diesel locomotive hauled train due to fire bans and restrictions on steam engines. Please beware that the itinerary and times are different to our normal May to November operated train.